Domino's has a hot deal today! 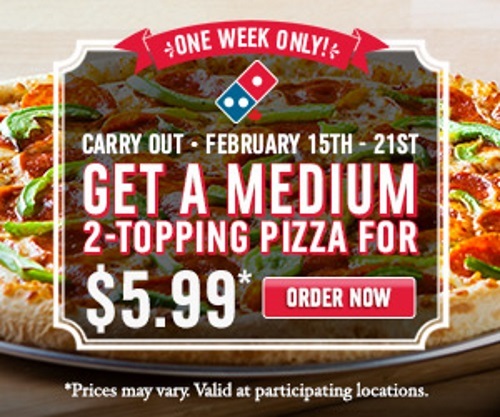 Get a Medium 2-Topping pizza for only $5.99! This offer is valid for carry out only until February 21, 2016. Click here to browse Domino's.